Who is the real Jesus, and why does he matter? 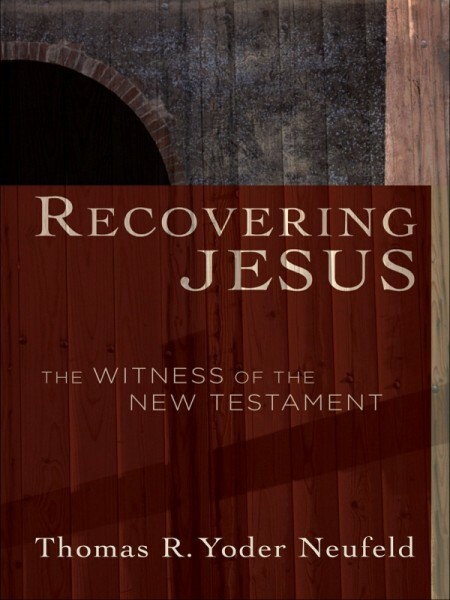 In Recovering Jesus: The Witness of the New Testament, respected New Testament scholar Thomas Yoder Neufeld offers an accessible and thorough introduction to the life of Jesus. Yoder Neufeld starts with the Jesus revealed in the Gospels, covering his birth, teachings, miracles, death, and resurrection. He builds on this account by assessing recent scholarly and popular studies, including the argument that the historical Jesus is revealed in the Gnostic gospels and other noncanonical texts. The result is a useful guide into the morass of current scholarship. In a true teaching spirit, the author provides a comprehensive approach without overwhelming the introductory reader or student. He clearly explains the nuances of complex issues without oversimplification. Recovering Jesus is thus an invaluable text for undergraduate and seminary students, as well as a helpful resource in nonacademic settings for both believers and nonbelievers. In the end, readers will come to a deeper understanding of who Jesus is and why he matters.